This post was originally published on The Mash-Up Americans. The Mash-Up Americans explores culture, race, and identity in America and what makes us who we are. Check out The Mash-Up Americans website, subscribe to their podcast, and sign up for their weekly newsletter. Every day we celebrate the raucous diversity that is Mash-Up America. One of our greatest joys is meeting people whose stories are foreign to us, whose cultures and traditions we know nothing about, and learning from them and sharing our own.But it takes strength to celebrate our differences, and sometimes, being mashy can be tough, especially for a kid. Bullying is real. Even years later, you can find yourself vulnerable to the same anger and fear you felt as a child. 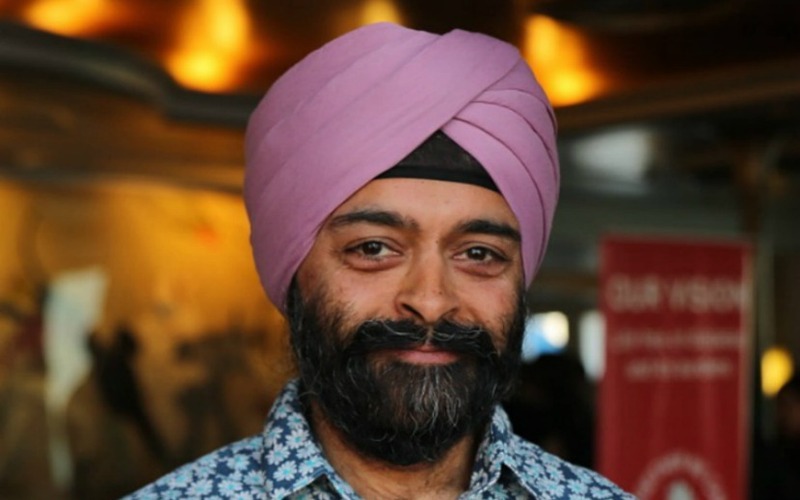 Our Sikh-American Mash-Up Rupinder Singh shares with us what happened when he faced his childhood nemesis, and the choice he made. [Editor’s note: It was a good one.] Oh, and have you seen Rupinder’s best tips for turning anger into hope? Without warning, a routine trip to the bank threw me back to my childhood, and dropped me at an emotional crossroads. Growing up, I was smaller than most boys my age. I was shy, introverted, and a bit nerdy. As a child of immigrants, I was constantly playing catch up with my peers in terms of understanding western culture, having to figure out for myself what that even was. 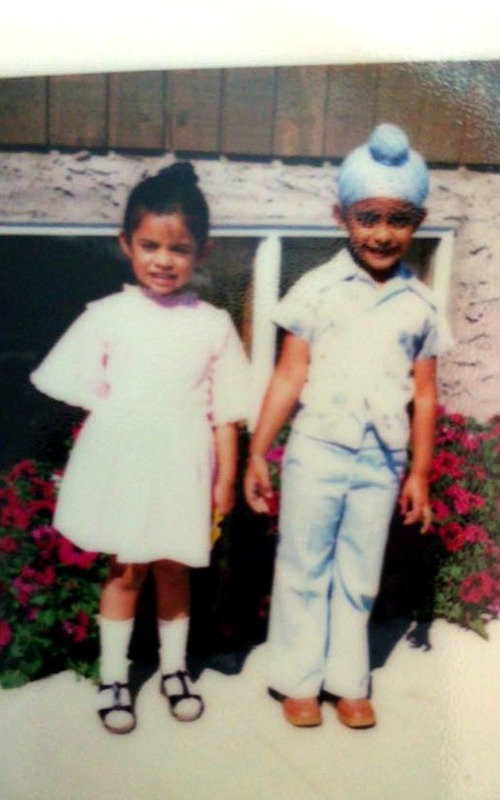 I had brown skin, long hair, and wore a patka, a Sikh article of faith worn by children to cover our hair. Needless to say, I stood out. The author and his patka. My appearance didn’t do me a lot of favors at school. I dreaded walking the hallways, because that was when other students, at best, would call me all kinds of names as I passed by them, or at worst, would grab at my turban and sometimes even try to pull it off. Given my size, I would try to silently ignore these kids instead of confront them, but that wasn’t entirely successful. I could only block so many hands, and my resolve could only be so strong in the face of constant harassment. I remember one day in the ninth grade when, in the midst of going through this torment in the middle of a class, I simply broke down and wept in front of my tormentors, who then lost interest in continuing to toy with their prey. I had a flashback to Joe grabbing my patka, and laughing. I remembered the shame and powerlessness I felt when he mocked me in front of my classmates. Joe never let an opportunity to bully me pass him by. As a kid, I was resigned to the fact that he would humiliate me any time he got a chance. And he did, every time. In fact, on his last day in our school, he made it a point to find me so he could grab my turban one last time. Shaming me was that important to him. Now I stood in front of him in the bank, and he was serving me. I was taller than him. I wore a man’s full turban now, a beard and mustache. As he helped me with my transaction, I could feel myself filling with anger. I looked him straight in the eye. I wanted to say something, but I also was curious to see if he would recognize me and say something first. Would he apologize for what he did to me as a teen? Would he laugh it off? Perhaps he thought so little of what he did to that boy so many years ago, that he wouldn’t even remember. The thought made me more furious, and as Joe began stamping deposit slips, I felt my temperature rising. I wanted Joe to know that despite how demeaned and humiliated I felt because of his actions back in school, I stood before him that day with my identity intact. He, and all the others like him, did not break me. And I admit: There was also a part of me that wanted to dare him to touch my turban now. I wanted him to try so I could grab him and pull him over the counter by the collar, and humiliate him as he did to me all those many years. However, as the minutes flew by, I did nothing and said nothing. I politely completed my transaction with him and left. I could have caused a confrontation, but what would that have even meant to him? I would have been the crazy guy with a turban who attacked him randomly in the bank and had to be thrown out by security. And what would it have meant to me? It would have changed nothing about our past. Even as I write this now, I can feel that anger welling up inside me. Joe’s bullying is probably not something he’s needed to come to terms with in his life, but for me, that damage was done, and indeed, it clearly lingers. Whenever I see a Sikh child in this country, especially one wearing a patka as I did, I wonder about what that child might be going through in school. Is there a Joe in that child’s life? Are they facing what I did when I was their age? It’s enough to dampen my eyes. Selfie-ing and campaigning against bullying in the nation’s capitol. And yet, I’m actually thankful that I went through the bullying. When as a child, I felt threatened to go to school, faced all kinds of abuse and yet still maintained my religious articles of faith without question, I know that today there is nothing I can’t face. Those experiences have made me a stronger, more confident Sikh, and a stronger, more compassionate man. I can’t change the past. But I’ve learned to accept my own experiences and be constructive. I free myself from my anger by advocating for anti-bullying policies and laws, educating teachers and school administrators about Sikh children and the issues we face in their schools, and mentoring Sikh youth. I have found allies in these issues, and I hope that many find an ally in me. In some ways, my anger has empowered me to do what I couldn’t as a child, and has given me hope that together, we’re creating a safer, kinder world for our kids. This #SpiritDay, we welcome GLAAD as a new supporter of #ActToChange AND STAND TOGETHER AGAINST BULLYING IN LGBTQ AND AAPI COMMUNITIES! This post was originally posted on glaad.org. Amazin LeThi, the founder of the Amazin LeThi Foundation which is an international charity organization to end LGBTQ bullying and HIV/AIDS discrimination in the Asian community, wrote in her blog posted on Act To Change. As the first Asian Athlete Ally Ambassador and a fearless fighter for anti-bullying in Asian LGBTQ community, LeThi has come a long way and realized how Asians stereotypes portrayed in media, the lack of exposure of Asians in media, and the short of support systems and a mirror image deepen the stigma for Asian LGBTQ community. “Asian youth are bullied the most out of all ethnic groups, yet nobody talks about it. In the U.S., I’ve never felt so invisible, because we (Asians) are portrayed as this non-threatening, invisible model minority community that ‘nothing have ever happened to us,’” LeThi said when asked about what makes Asians anti-bullying issues so important and urgent. The invisibility of Asian community in day-to-day conversations and those in politics and media frustrated LeThi. Therefore, she decided to collaborate with the White House Initiative on Asian Americans and Pacific Islanders (AAPIs). 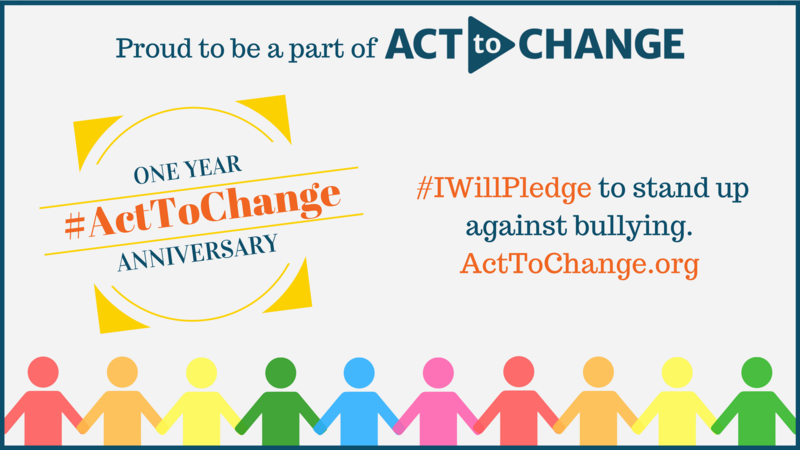 When Act To Change, a public awareness campaign working to address AAPI community bullying problems, was launched last year in October, she came on board as a supporting partner to share her stories with oppressed Asians. When talking about other Asian cultures, LeThi said, “Because we are brought up to think about what kind of job we are going to have and if it is going to be a good job at the end of life to be able to support the family, the idea of coming out obviously brings on a lot of shame and pressure from our own community that encourages people to conform.” Because she sees Asians are conformists and such picture can be changed, LeThi wants to use more digital platforms to share the stories of Asians who can be the mirror images for those suffering from bullying or their intersectional identities. “We need to speak up,” as LeThi mentioned more than 3 times during the interview. The problem that causes bullying can also be seen in Asian athlete community. Many Asians youth love to go into sports. However, due to the stereotype that “Asians are weak,” many have been discouraged and more so for Asian LGBTQ. LeThi said that we need more Asian athletes to come out or, at the very least, to publicly become an ally. “We need the support from both inside and outside of the Asian community,” she said. Amazin LeThi has never given up, and she is still forging ahead. With Act To Change and Amazin LeThi Foundation, Asian LGBTQ’s voices have started to be heard. Nevertheless, we still have a long way to go. Go to Act To change (https://ActToChange.org/#about) and Amazin LeThi Foundation (http://www.amazinlethifoundation.org/) to learn about how to become an ally for and contribute to Asian LGBTQ community. This post was originally published on StopBullying.gov. Syeda Raza is currently a college student and E3! Ambassador through the White House Initiative on Asian Americans and Pacific Islanders. “During the 23 years that my family has lived in America, my parents and I never faced verbal abuse or harassment until recently. I remember my dad coming home angry one day. When I asked about what happened, he responded with a pain in his voice that a lady asked him if he was Muslim. He said yes to the woman, only to see her start ranting about how Muslims are invading and destroying this country. She insulted him about his faith, nationality, and immigrant background. My dad tried to be respectful to the woman and tell her how this country is his family’s home. He also told her he immigrated here to give his daughter the best chance at life. But it was clear that these words meant nothing to her. “What disturbs me even more is how the current climate is affecting young children. As an educator, it hurts me to hear a sixth grade student say that she didn’t think she could be the first American Muslim president because she thought too many people hated Muslims. I believe children and adolescents are constantly accepting the information they hear and read through various forms of media. To learn more about what schools and communities can do to help protect children from different ethnicities and faiths against bullying, please visit StopBullying.gov Who is at Risk and Consideration for Specific Groups sections. Additionally, you may want to read the AAPI Bullying Prevention Task Force Report, developed by the Asian American and Pacific Islander Bullying Prevention Task Force. Among those who have taken the #ActToChange pledge are: Forrest Wheeler, actor (ABC’s Fresh Off the Boat); Hudson Yang, actor (ABC’s Fresh Off the Boat); Albert Tsai, actor (ABC’s Dr. Ken); Parvesh Cheena, actor/comedian (My Crazy Ex-Girlfriend); Jon Jon Briones, actor/singer (Miss Saigon); Ai Goeku Cheung, actor/singer (Miss Saigon); Deedee Magno Hall, actor/singer (Steven Universe, Miss Saigon); DAN aka DAN, alternative hip hop artist; The Filharmonic, a capella sensation (Pitch Perfect 2 and NBC’s Sing Off); Jennie Kwan, actor/singer (Avenue Q, Avatar: The Last Airbender); Megan Lee, actor/singer (Nickelodeon’s Make it Pop); The Poreotics (MTV’s America’s Best Dance Crew); AJ Rafael, singer/songwriter, YouTube star; SETI X, rapper; Beau Sia, Tony Award-winning spoken word artist (Def Poetry Jam); Sam Futerman, actor/filmmaker (Twinsters); Perry & Danielle, singing duo; Minji Chang, Kollaboration Executive Director/actor; Mike Bow, actor (The Maze Runner, Comfort); Matt Almodiel, singer; and Lance Lim, actor (Independence Day, School of Rock). This week during Bullying Prevention Awareness Month, join #ActToChange and take a stand against bullying! 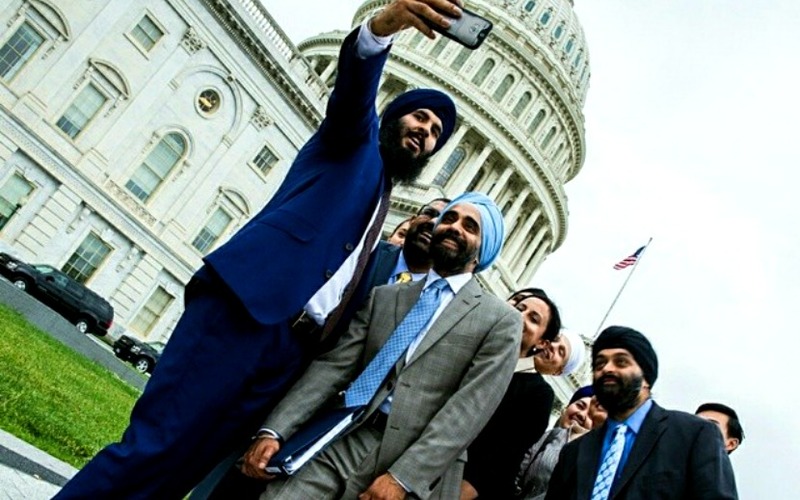 One year ago, the White House Initiative on Asian Americans and Pacific Islanders, in partnership with the Sikh Coalition and the Coalition of Asian Pacifics in Entertainment (CAPE), launched the #ActToChange public awareness campaign to address bullying, including in the Asian American and Pacific Islander (AAPI) community. 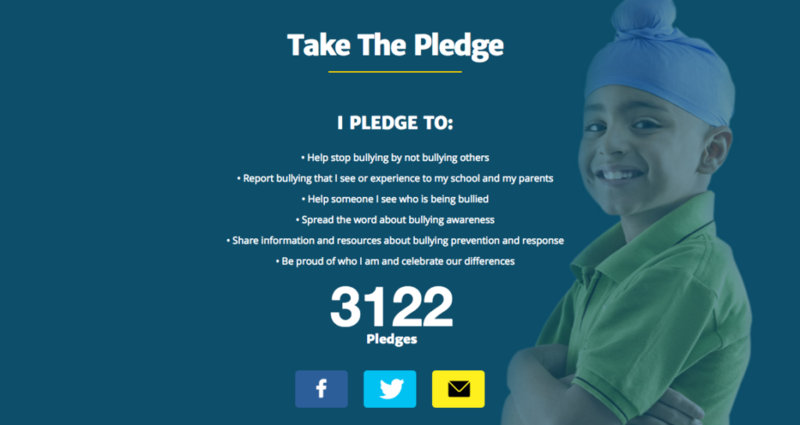 Backed by a diverse coalition of now more than 60 supporters including media platforms and national organizations, #ActToChange aims to empower AAPI youth, educators, and communities with information and tools to address and prevent bullying. Check out ActToChange.org, which features video and music empowerment playlists, translated resources, an organizing toolkit, and more! Join the movement by visiting ActToChange.org.